When summer or winter sets in, trees must be watered at regular intervals to provide roots with sufficient nourishment. Let’s take a look at a few tree care tips you can follow to take proper care of your trees during these seasons. First, you must determine the dryness of the soil. This will help you decide how much it needs to be watered. So, dig out about two inches of soil and hold it in your hands. If you can tighten it into a ball, then there is sufficient moisture in the soil. If not, you will need to water the area properly. You can also use a soil probe to check the moisture level more accurately. Avoid lawn irrigation during summers as it fails in providing the roots with sufficient water. Instead, ensure that you water the trees right at their base. This will let the water seep through, giving it a much needed deep soak. The amount of water a tree needs will depend on its age. For newer trees, deep-watering is recommended. This will provide the roots with enough water to nourish the whole tree. For older trees, you can leave it to find water through its network of long roots. If you are unable to determine how much water your trees need call the tree care professionals from Nevada Tree Service. Trees are usually dormant during this season, and the food synthesized by the leaves is sent to the roots for storage. However, in dry climates, trees may still require watering. Nevada Tree Service can provide you with thorough recommendations for proper watering of your Las Vegas trees during the winter months. Before watering, check the soil to a depth of about eight inches. If not moist, then push in a water hose and slowly soak the soil. If it is a fruit tree, then watering becomes even more essential as it promotes the proper growth of fruit buds. Deciduous trees will completely shed off its leaves during winter to better utilize water and food reserves. In contrast, coniferous trees maintain leaves all through the season. But this also increases its chance of being affected by drought. It is ideal to remove weeds within four feet of the tree. This makes sure that the water actually gets to the roots rather than getting sucked up by the weeds. You can also add mulch between the drip line and the tree trunk to maintain the moisture content of the soil. 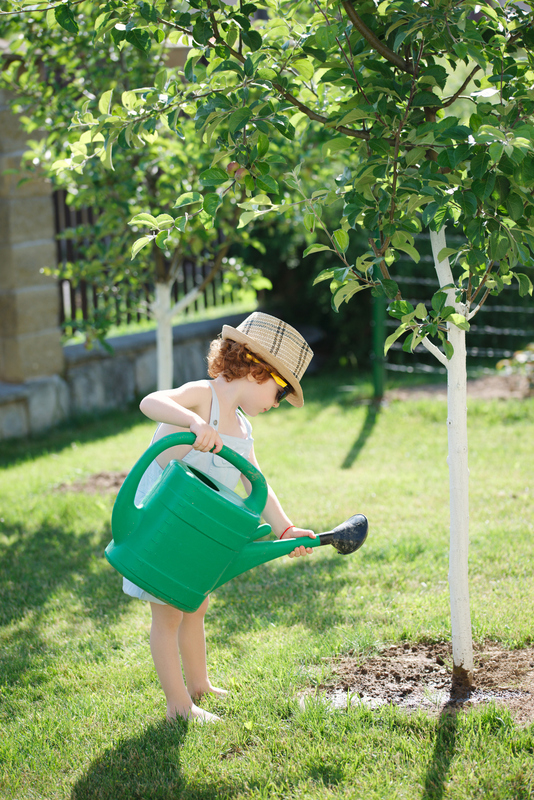 For more specific instructions on properly watering trees during winter or summer, contact Nevada Tree Service today. They can look at the landscape and come up with a proper tree care plan and watering schedule to keep your trees healthy throughout the year.